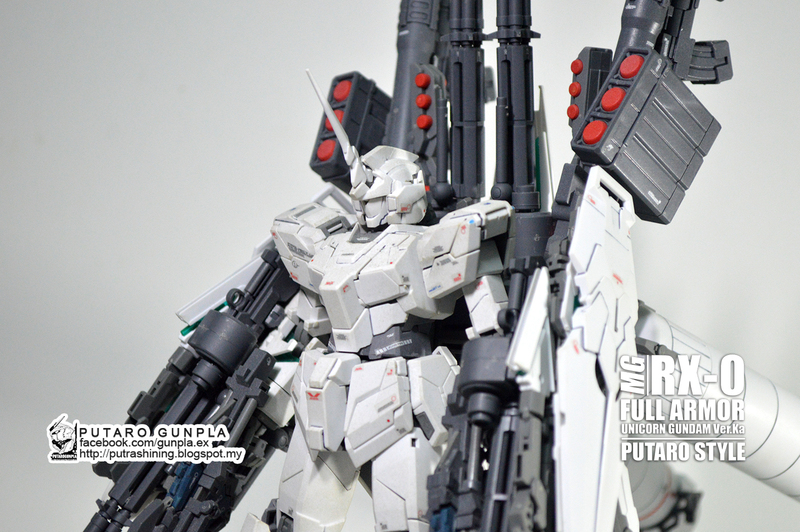 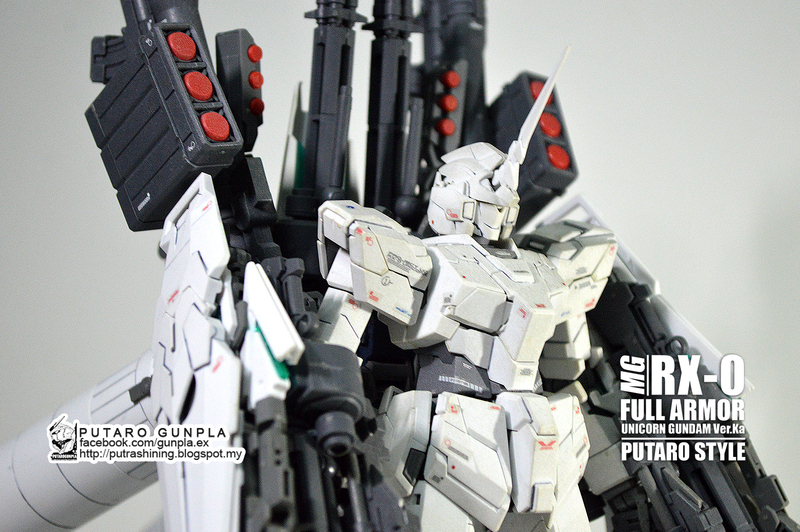 MG 1/100 RX-0 FULL ARMOR UNICORN GUNDAM Ver.Ka by Putra Shining. 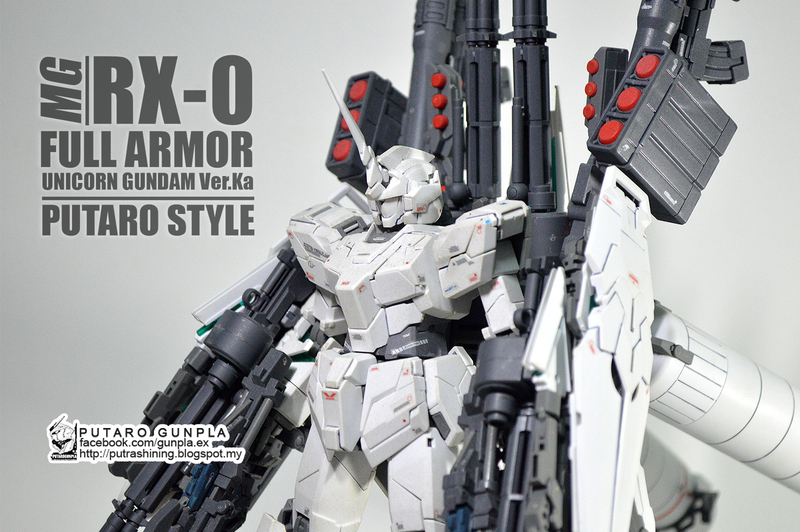 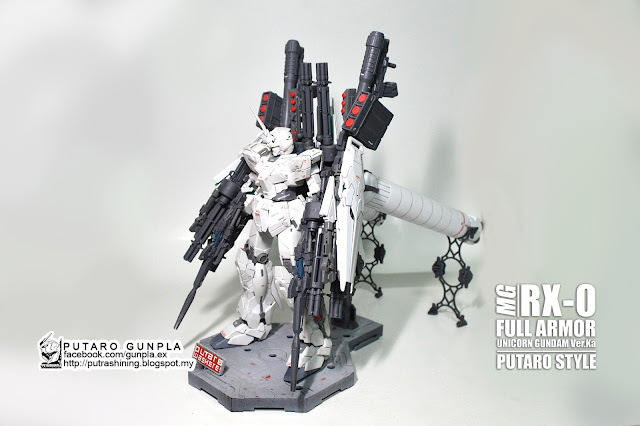 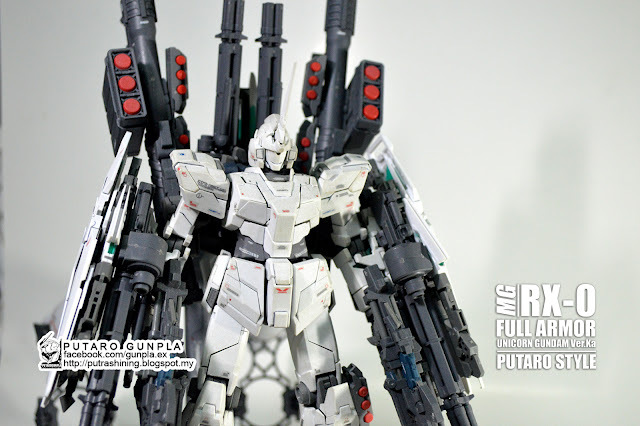 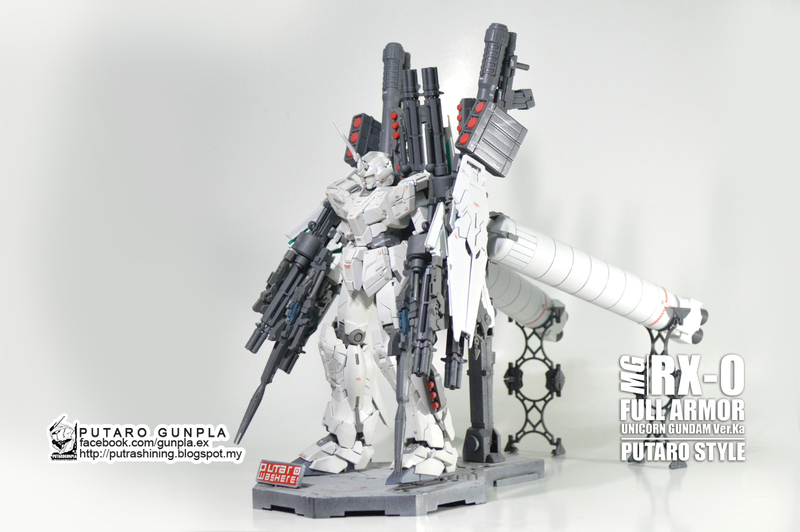 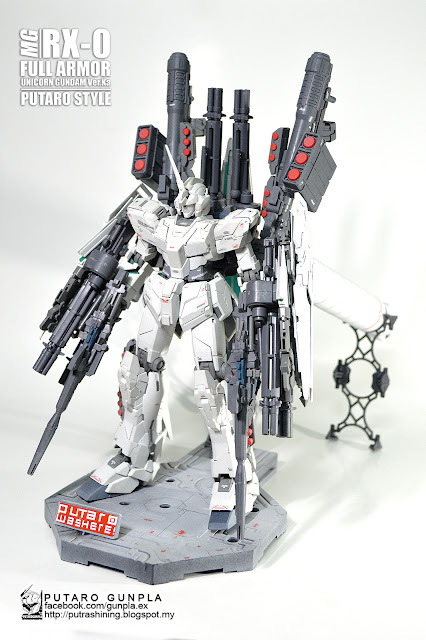 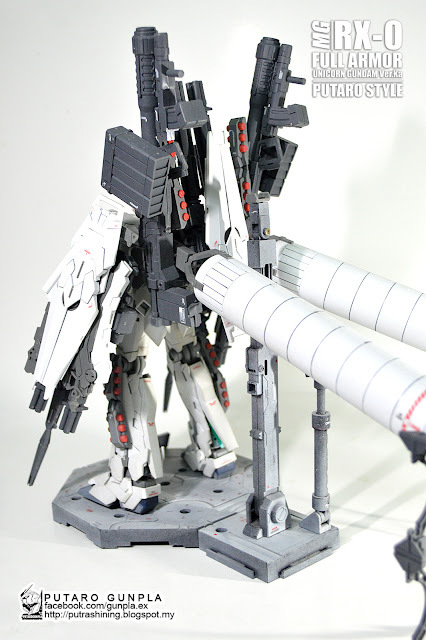 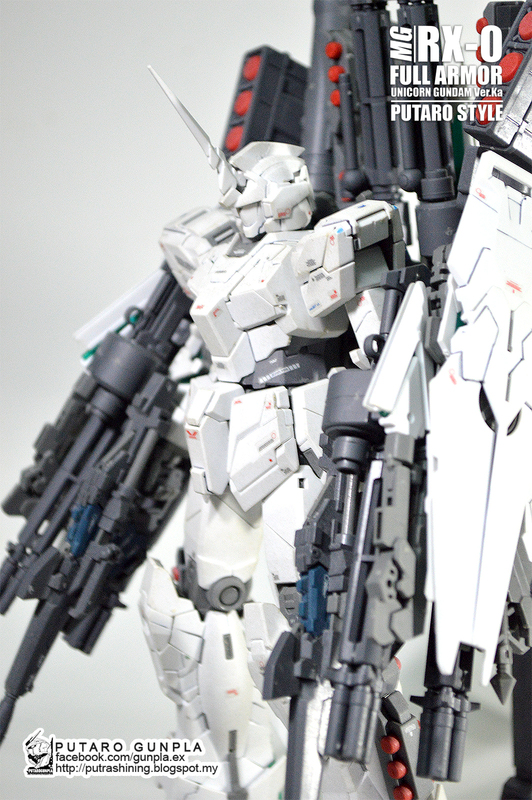 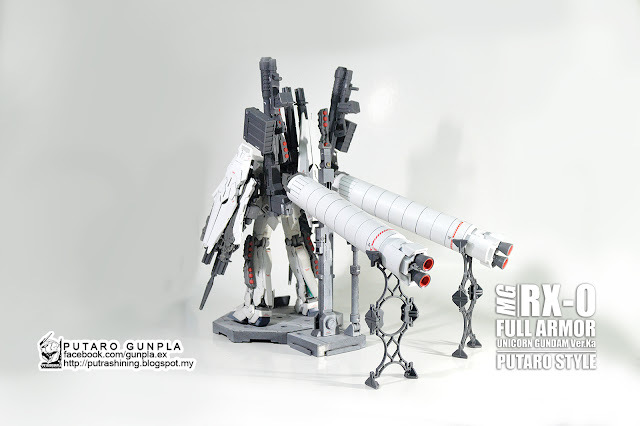 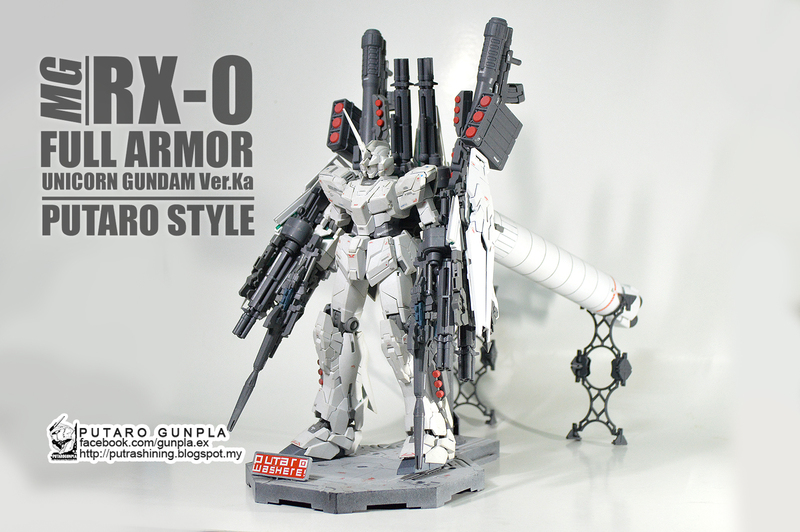 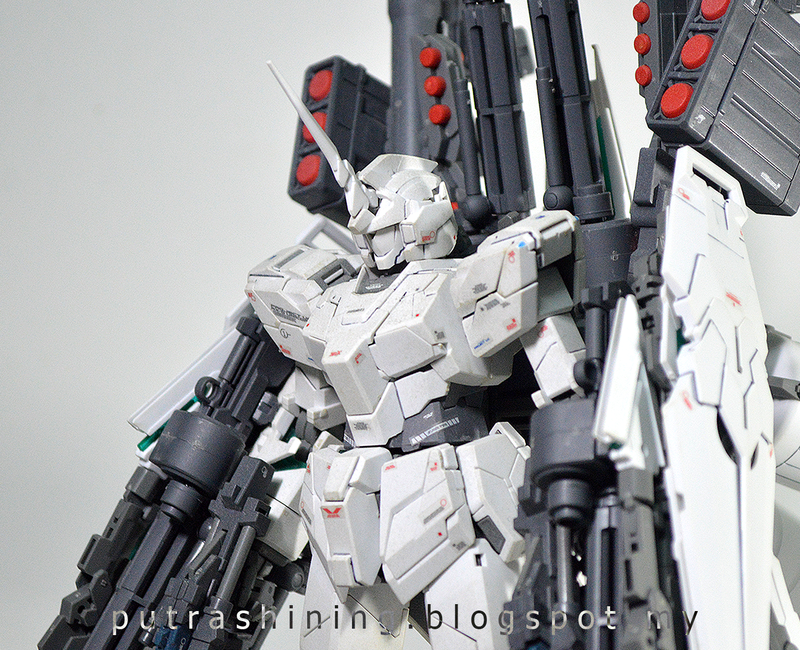 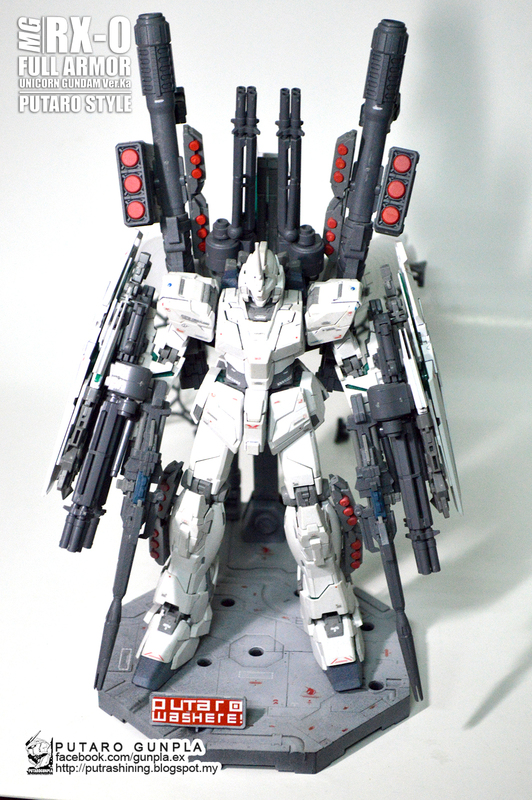 Hi, this is the part 02 of MG RX-0 by Putra Shining, the first MG in this blog. 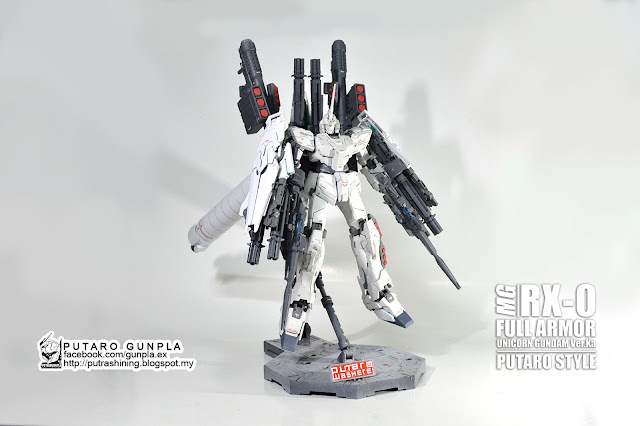 RX-0 is Putra's favorite Gundam. 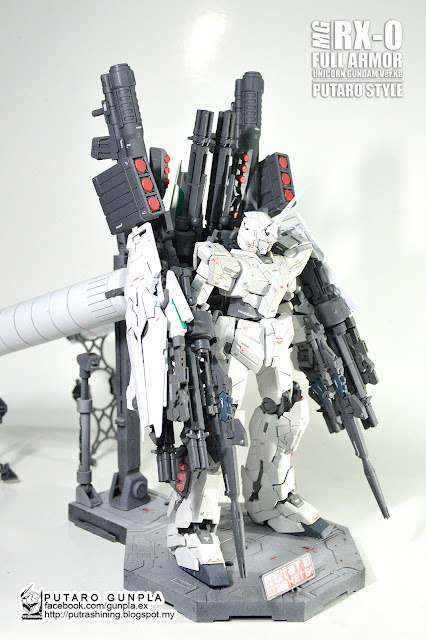 So, this kit look so newbie build. Thanks for stay viewing Putaro Gunpla. 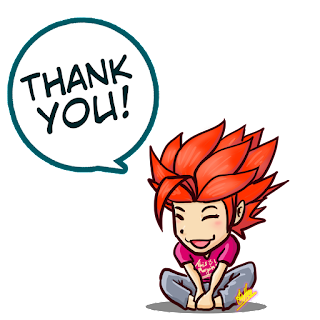 If you guys have something, or anything to say, leave a comment below. 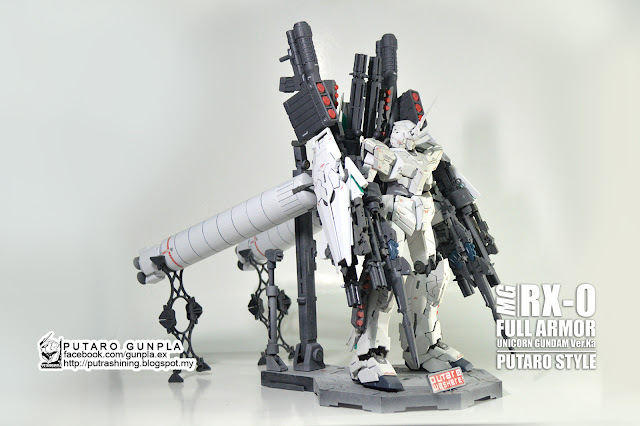 "This is my first Master Grade, this kit is a gift from a friend (the name should not be spoken). Thank you friend. 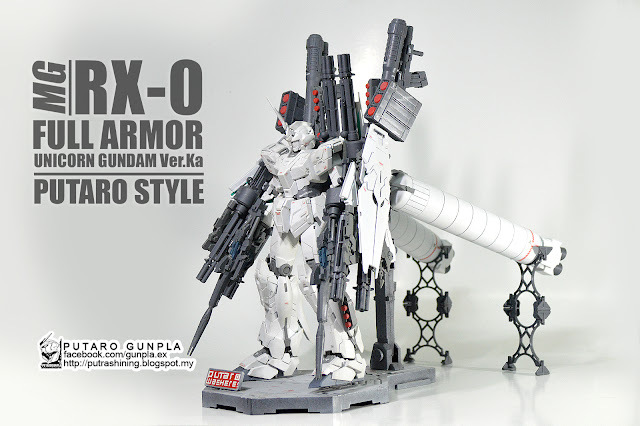 By the way, you guys maybe wondering where the full armor thing, the thing is i'll upload later in the next post, too much to upload. This RX-0 maybe look the same, because i just add some small things like decals, marks, highlights, etc. 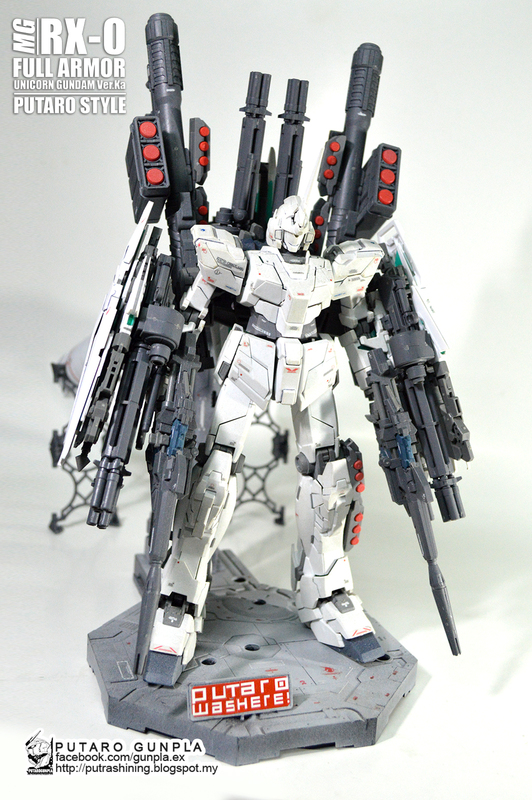 If you see closely the kit looks a bit rough build, yes.. it's my first Master Grade and my 2nd GUNPLA ever, so it's hard to build this kit. My first GUNPLA is RX-0 FULL ARMOR GUNDAM SD. This kit has been display at MGAF, if you guys has seen it,cool! 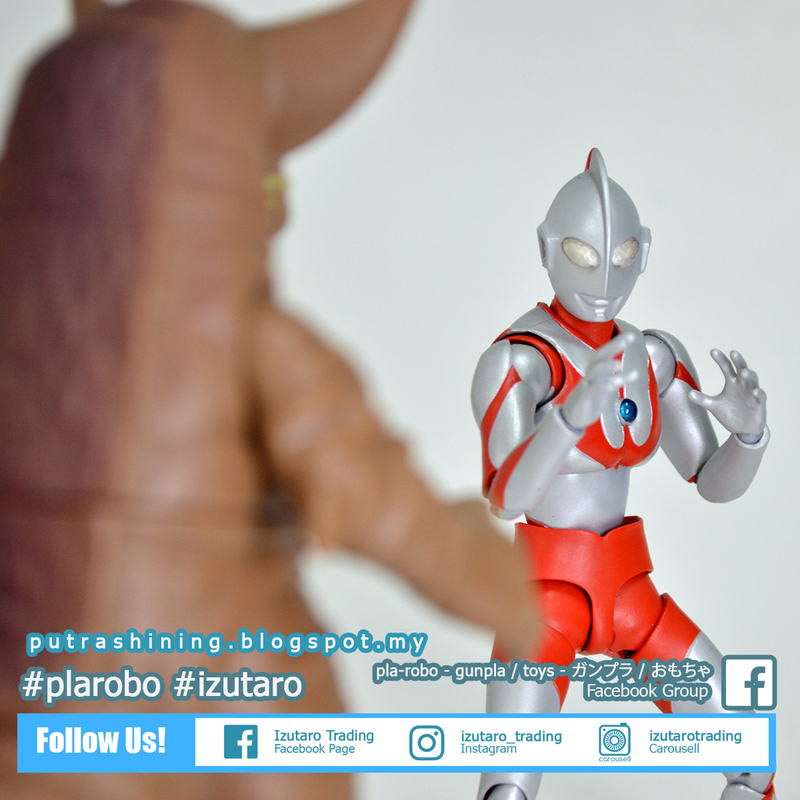 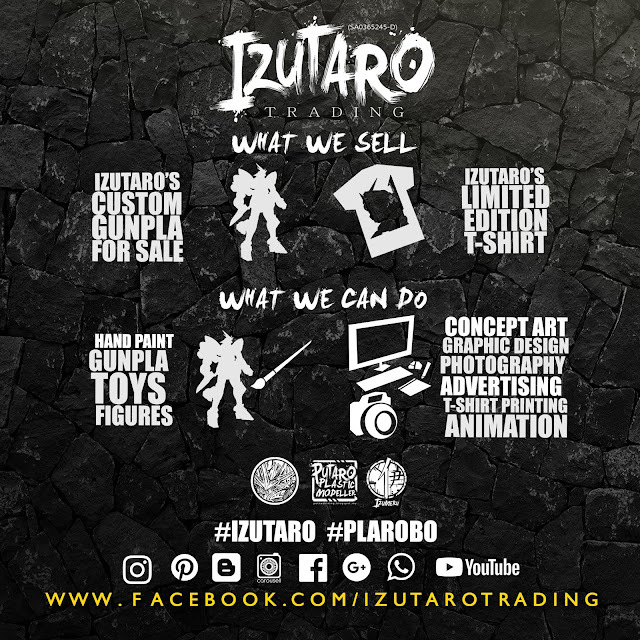 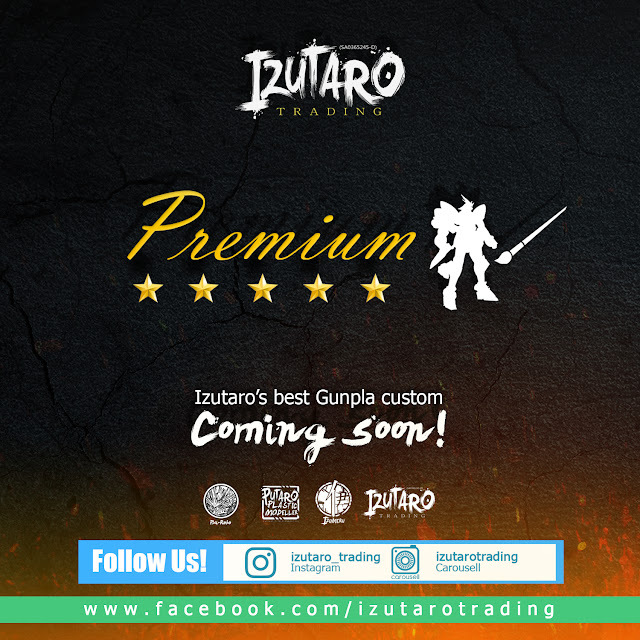 I hope you guys like it, thank you for viewing Putaro Gunpla."